A bridge between classic and modern style the T45 range is characterised by extremely clean lines and a strong personality it features a pleasant environment with a stylish combination between old and new trends, strong personality. It features a pleasant environment with a stylish combination of old and new trends. T45 is the expression of stylistic research and functionality, thanks to top access on the worktops and CPU holder under the return unit. 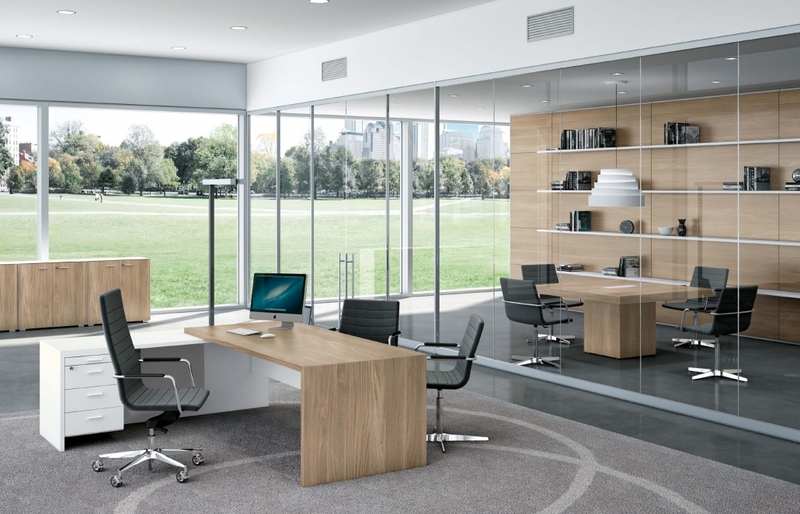 Quadrifoglio’ s range is a modern executive office, composed of simple and essential elements creating a space which is at the same time real and flexible. T45 is a collection with a great aesthetic impact. The combination of different finishes creates a perfect balance between functionality and design helping you create a workspace interpreted with a contemporary and unconventional vision. Wide boardroom tables mark the space dedicated to relationships and brainstorming using the stunning T45 tables. Particular attention was paid to the elements necessary for cable management and have come up with the solution of top access and both horizontal and vertical cable trays within the desks. 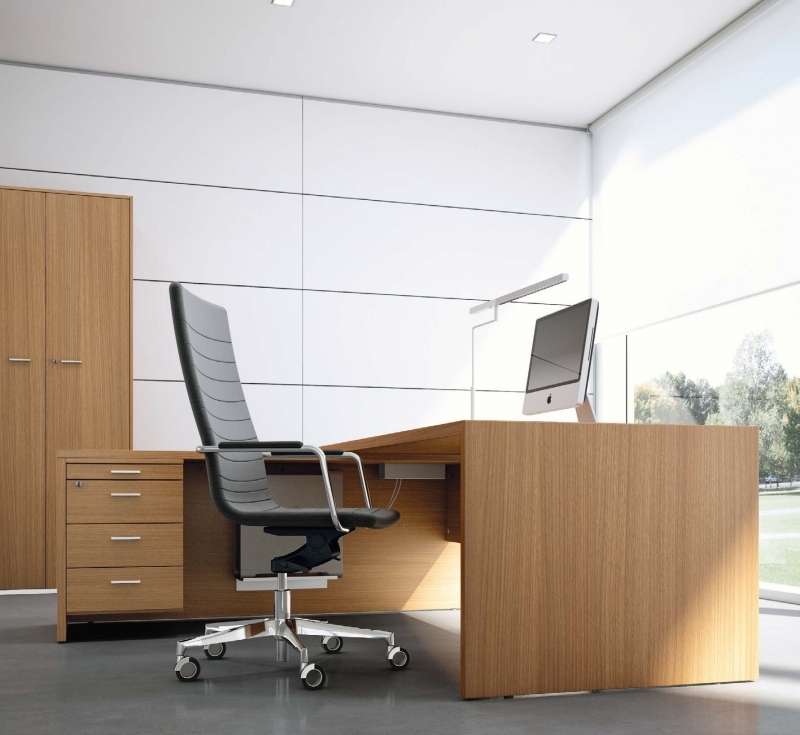 To the T45 range belongs a broad range of storage units and pedestals, that fit perfectly your workspace with their functionality, there are several models of storage units with metal or melamine carcasses hinged or sliding doors, in order to fulfil a function and aesthetic requirements.